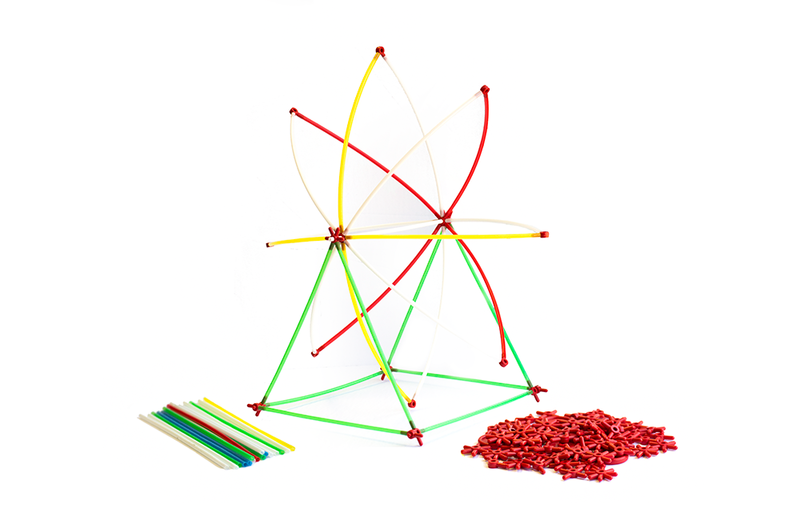 Parker Brothers’ Construct-o-Straws combined multi-coloured drinking straws with red plastic connectors to create an easy-to-use construction set for children of all ages. Advertised as “the new dimension in construction toys”, the flexible polyethylene tubes could be cut to any length, allowing models to be built using a variety of different curves and angles. The easy-to-learn construction method made Construct-o-Straws an excellent choice for developing fine motor skills in young children while encouraging older children to invent and build more complex models. Each set shipped with five primary colours: red, yellow, green, blue, and white.